What Should You Expect from Your Roofing Contractor? When it comes to choosing the right contractor to handle your roofing job, it’s important to make sure you find one who is reliable and who will provide you with high-quality services and materials. Here are some factors to keep in mind while you compare roofing contractors in the DFW Metroplex. Under Texas law, roofing contractors are not required to have liability insurance. However, reputable contractors typically carry $1 million in liability insurance to ensure your property is protected. Your roofing contractor should hold an adequate amount of general liability insurance. Your roofing contractor should be in good standing with the Better Business Bureau. This bureau helps protect consumers from contractors who do not provide reliable or high-quality services. 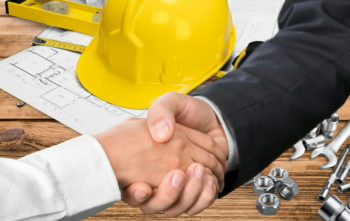 Being in good standing with the BBB means that your roofing contractor meets the highest standards. Acme Roof Systems has an A+ rating with the BBB. 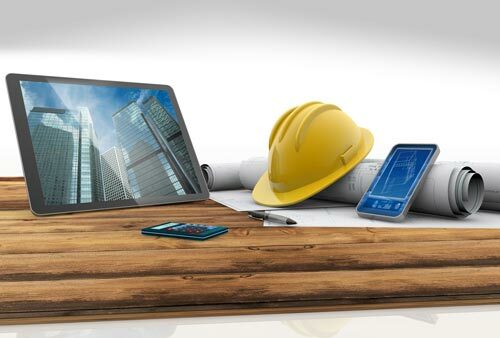 Roofing contractors should stay current on the latest standards and technology in the roofing industry. Technology changes, materials improve, and standards update all the time. Up-to-date contractors can most reliably provide you with high-quality materials that meet current standards. Acme experts are always reviewing current literature and industry standards so that we can provide homeowners with the best possible service. Your roofing contractor needs to do more than provide quality service. Contractors should also use high-quality roofing materials that are durable and fit your particular design requirement. Taking the time to design the proper roof system for your particular project will help extend the life of your roof and ensure your roof performs properly. Reliable roofing contractors should always provide a written estimate for roofing services. If the price changes at any point during the project, you should be notified of any extra work over and above the original estimate is performed. Having a written record of the original estimate will give you peace of mind and protection. Roofing contractors who provide safe and dependable services will always be in compliance with local city codes. We meet the standards set forth by the state of Texas to ensure that the quality of our work is up to date with the local code enforcement agency. We keep up to date literature and provide ongoing training for our staff to ensure our work is code compliant. Reputable roofing contractors should be familiar with local building codes and comply with these codes. Roofing contractors should willingly provide you with references. We recommend asking for at least five references from any roofing contractor you interview. Acme Roof Systems has a long list of residential and commercial reference lists that are always available upon request. Will you be conducting a full inspection? Roofing contractors should do a full inspection before providing you with a written estimate. Will you be installing underlayment? A proper underlayment provides an extra layer of protection from the elements and keeps your roof deck watertight. Your roofing contractor should let you know what type of roof underlayment is being installed on your particular project. Will you be following the roof manufacturer’s specifications? For the best results, roofing contractors should always follow the manufacturer’s specifications for roofing products. Will you fully explain the extent of your warranty and provide me with documentation? You should know what is covered under your warranty and what could potentially void it. You should also receive documentation that fully explains the extent and guarantee of your warranty. Will you check my attic to ensure that it has enough ventilation? The amount of ventilation in your attic can affect the performance of your roof. Ask your contractor to complete this check prior to completing roof work. Will you explain how my new roofing system works? It’s important to understand how your roofing system functions. Your roofing contractor should explain the basic components of your roof system and what maintenance should be done to extend the life of your roof.